As an avid DIY-er and thrift store shopper, I will work with any budget to create a beautiful, comfortable space that expresses your unique personality and tastes. I will shop for you, or with you, for unique accent pieces and affordable furniture and paint. Finally, if you're not 100% satisfied, my services are free of charge. This business was founded on the fact that every homeowner, or renter deserves a place they can call their own "cloud nine". Home should feel like your very own sanctuary, and that's what I plan on turning your home into. I am a senior in the BFA Interior Design program at Sage College of Albany. 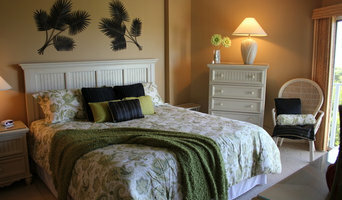 I am on Houzz to see current trends in our industry as well as researching for myself.